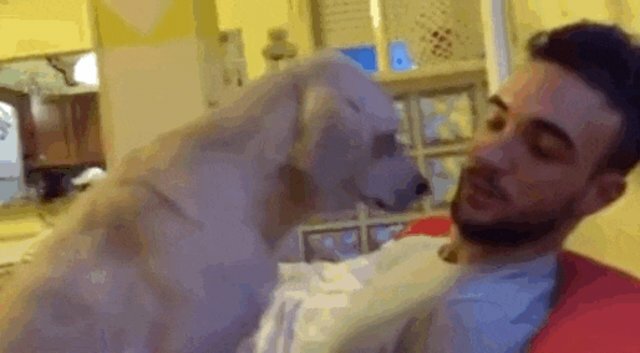 He couldn't stand his dad being mad at him. 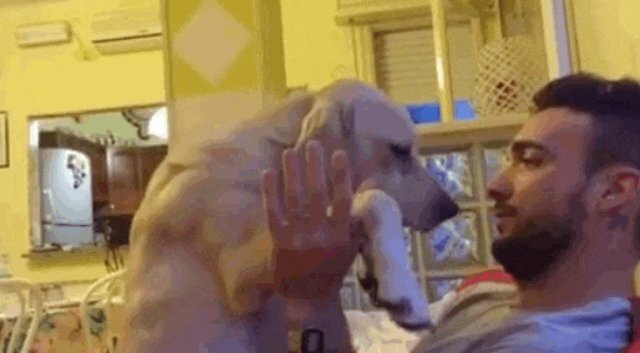 Even if our dogs don't understand all the words we're using, they definitely know how we're feeling - and this pup can tell his dad is not happy with him. 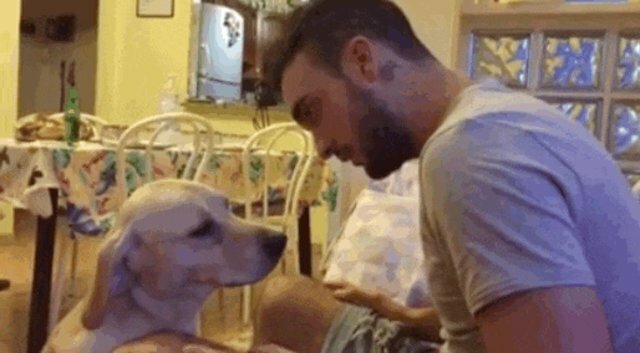 The video, uploaded to Facebook by Anthony Federica Granai, shows Anthony telling off his pup, Ettore, for being naughty. 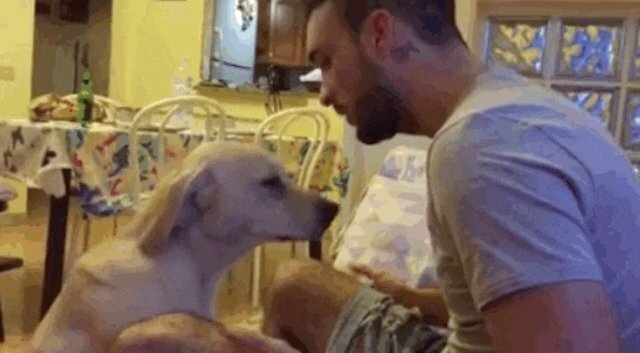 Ettore knows his dad is mad at him and he needs to fix it, so he apologizes the best way he knows how - with cuddles. He decides to climb straight up on to Dad's lap. Anthony still doesn't give in ... so Ettore amps up the begging for forgiveness with even more intense snuggles. And finally, FINALLY his dad relents. "OK. We make peace," he laughs in Italian. That's right bros, hug it out.